The Find has been Reno’s best-kept secret for stylish furniture and home decor since 2005, but the secret seems to be getting out. As more and more people come through the door and back out again with new sectionals and sofas, that perfect statement chair, artwork, bedroom furniture, faux succulents, and so much more, we’re seeing an uptick in online reviews. And we love it! Here’s what to expect at The Find in Reno, based on recent reviews by really happy customers. Thanks to everyone who takes the time to review us! “We bought our couch from the Find about 2 1/2 yrs ago- along with several other pieces for our home: Dining chairs, eating-area table, side chair for family room and stools for our kitchen counter. All pieces beautiful but our favorite is the couch! It continues to hold up to daily use by my 3-kids & looks brand new. I love that Stephanie helped me pick the fabric and pillows to match the style of our home! Love the Find!” – Jenny K.
“I love The Find. We recently moved and our house is decorated with furniture and accessories from there. They have the most beautiful, unique finds. Excellent customer service as well! We are so happy with our purchases!” – Summer P.E. “So grateful to Stephanie at The Find! She just helped me find beautiful new side tables made with quality woods and finishes to update the look in our family room and formal living room. Incredible style and as she put it, ‘instant gratification.’ The Find is a treasure!” – Cassie D.J. “Our family loves The Find. It’s always fun to go down there and look around. They have all kinds of home decor, furniture, and gift items. Many of their items can be custom designed which makes The Find even more unique and special. Julie and Stephanie are fantastic at helping you find that special piece or pieces for your home. Those girls have great taste! We recently purchased a couch for our home and get constant compliments and questions about it. Highly recommended.” – Trevor T.
“Stephanie is incredible and her store is one of kind to say the least. 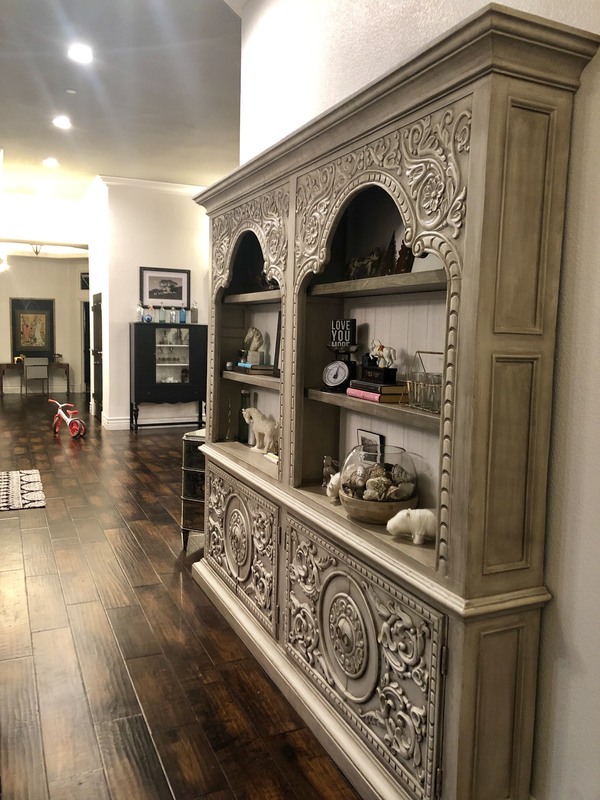 Not only is her warehouse full of stunning and unique furniture pieces, but she has decor items and can customize virtually everything in the store. When I say custom I mean seriously custom! I was able to choose the size, arms, fabric, pillows, filling colors, wood and so many more details on my chairs, couch and tables. To make the experience even more incredible, Stephanie offered me her design eye and spacial planning genius at no extra charge. Without her, my weird shaped giant room would have looked like a rec room. I am so in love with my home because of her and it lives perfectly for my family!” – Marilyn Y. “Absolutely love the find. The owner is always there and unbelievably helpful. I purchased a bed with a tufted head board and delivery and assembly were seamless. 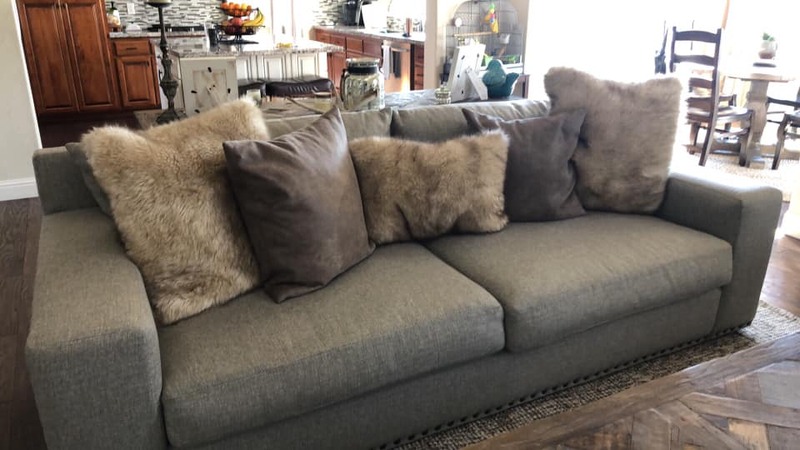 Can’t wait to custom order a couch next!” – Sara T.
If you loved your experience here at The Find, we’d love your review. Follow these links to share your story (we love photos too!) on Google, Facebook, and Yelp.